Productive, positive relationships. That’s the basis for the Anchoring a Dream project in Pasadena, at a place called Villa Esperanza. Basically, I painted an interactive mural for children with autism. Its surface is reusable, so kids can take communication outside the classroom, practice sharing their dreams and ideas by painting directly into the clouds of the mural. 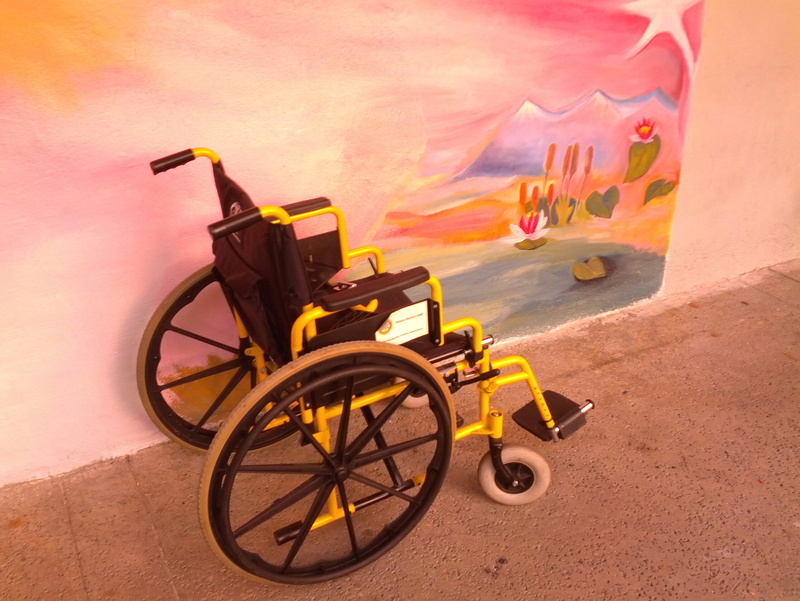 One day I came to the mural and found this wheelchair, where a child with ambulatory difficulties had wanted to sit here a while, perhaps dreaming of possibilities. When it came time for the mural unveiling, I was floored! The kids and teachers came out, talked about the mural and gave me this amazing thank you card. (That’s me in the pic, flanked on either side by my ultra-proud mom and dad.) Best of all, I got to see the mural in action. The kids had already drawn a rainbow and put the word “Autumn” on the sail of the mural’s paper boat. 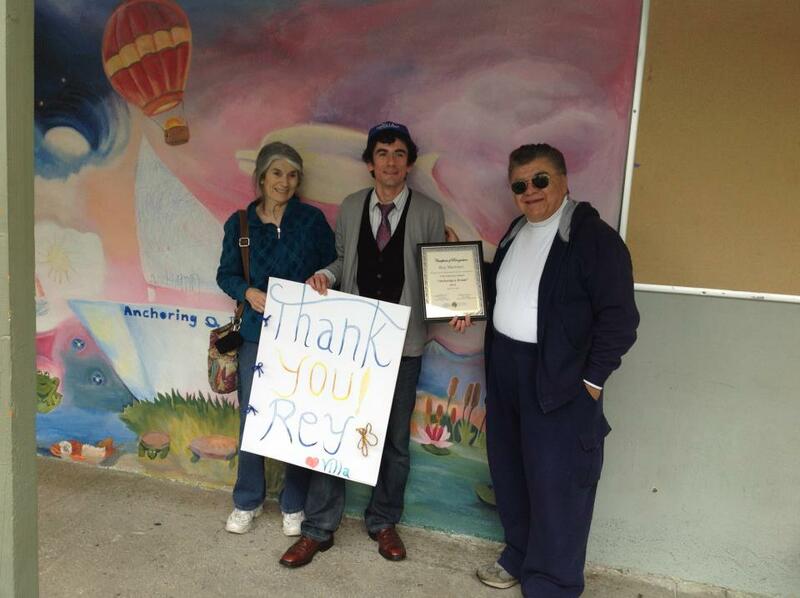 Posing with my parents, with a Villa Esperanza baseball cap, a beautifully framed certificate, and this awesome thank you card that the kids had made! My mom was so taken by the whole experience that she decided to write an article. Yes, of course, because that’s what moms do best! Well, she also wanted to try out Facebook’s “notes” feature, and I suppose that I helped a little bit. For this unique behind-the-scenes look, check out Anchoring a Dream.